One of the most memorable trips I had was in January 2011. 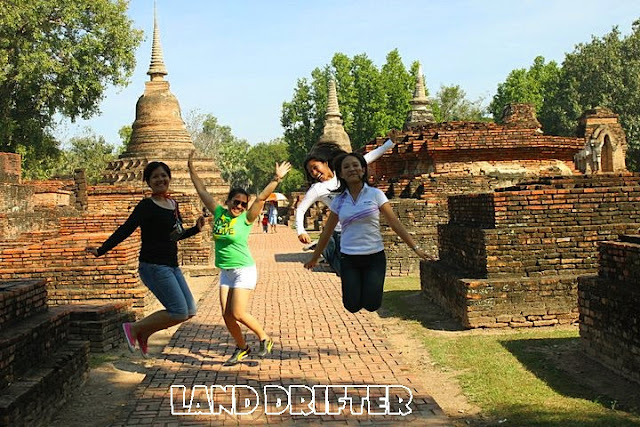 Just before my sister left for Italy, we brought her to the amazing architectural ruins of Sukhothai; one of ancient kingdoms that controlled much of present day Thailand. Although it can't compete with the great Angkor of Cambodia, the ancient ruins of Sukothai which date back to the 13th century are amazing just the same. It is regarded by many as the birthplace of Thailand. Seeing the ruins gives a feeling of being transported back time. 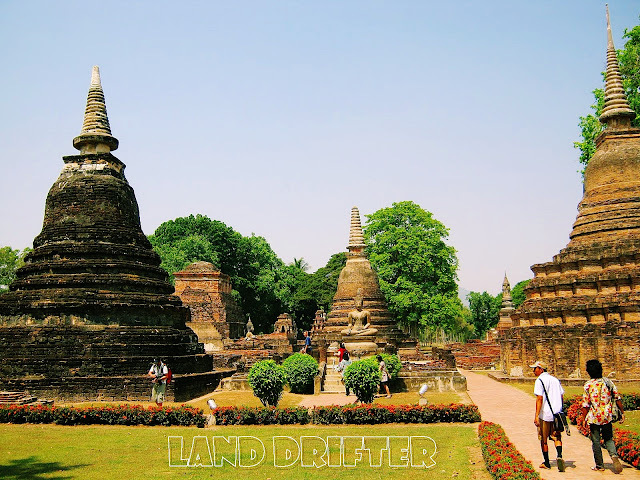 The Sukhothai Historical Park is divided into five zones; north, south, east, west and central zones. The central zone is the largest and houses the most ruins including Wat Mahathat, the most famous and most important temple. 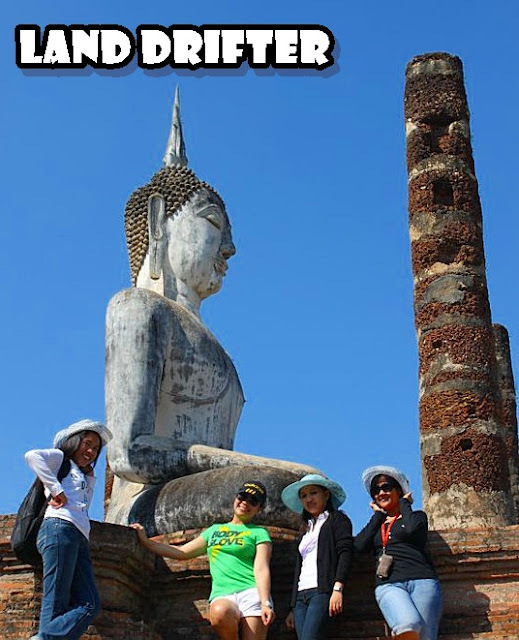 On December 21, 1991, UNESCO declared Sukhothai as a World Heritage Site. This 70 square kilometer area halfway between Bangkok and Chiang Mai receives thousands of visitors each year. Tourist tour the massive park either on foot or a bicycle. 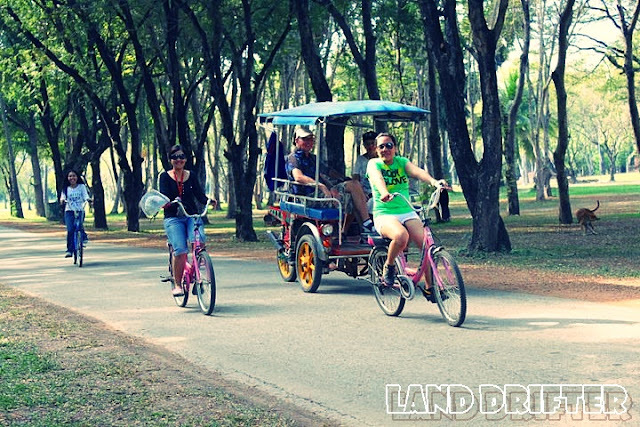 I recommend riding a bicycle costing only 30 baht which can be rented from the stalls outside the entrance. Entrance fees for foreigners are different compared to the locals. Foreigners are charged 100 baht per zone as opposed to 30 baht for Thais. However, you can purchase a pass to all five zones for 350 baht but it's only good for one day. Bangkok and Chiang Mai have regular buses that stop in Sukhothai. From downtown, it's another 12 km drive to the old city via a songthaew (a pick up truck turned shared taxi), tuk tuk and motorbike taxis. If you're staying for a couple of days, it is best to rent a motorbike which you can use to go to different places like the old city, bus station, hotel and other places of interest for only 250 baht a day. Renting is more convenient and way cheaper than commuting as well. Nothing is more economical than looking up online as to where you plan to stay and which restaurant to eat before making your trip to Sukhothai. If you want to stay close to the old city, there are guesthouses which aren't that pricey and only takes about less than 5 minutes of walk. Apart from that there's an evening market where you can order different foods - fresh ones and made to order. We didn't stay for a night when we visited Sukhothai. I live in Phitsanulok which is only an hour away. But if we did, the Old City Guesthouse which is only 250 baht a night will be on our list. It doesn't have air-conditioner but it has a private bathroom with soap, towels and water. We had so much fun. I would gladly do it again if given a chance. How about you? Do you fancy seeing Sukhothai?